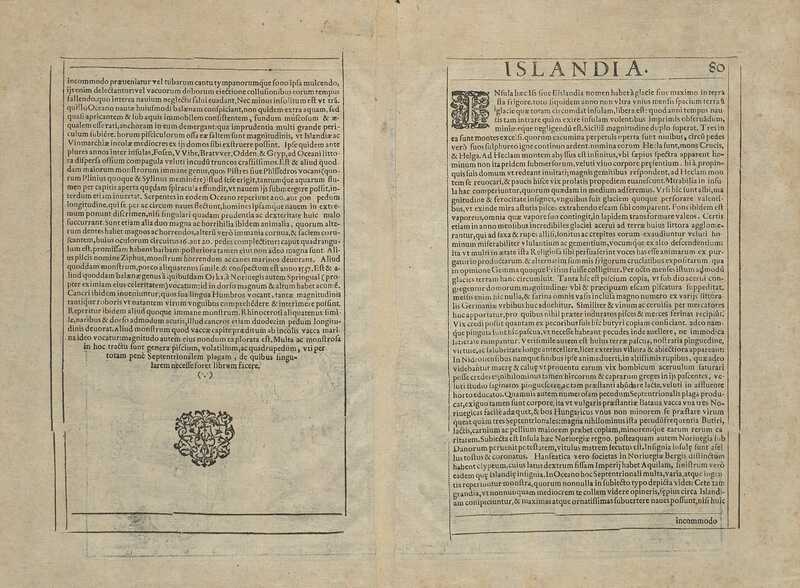 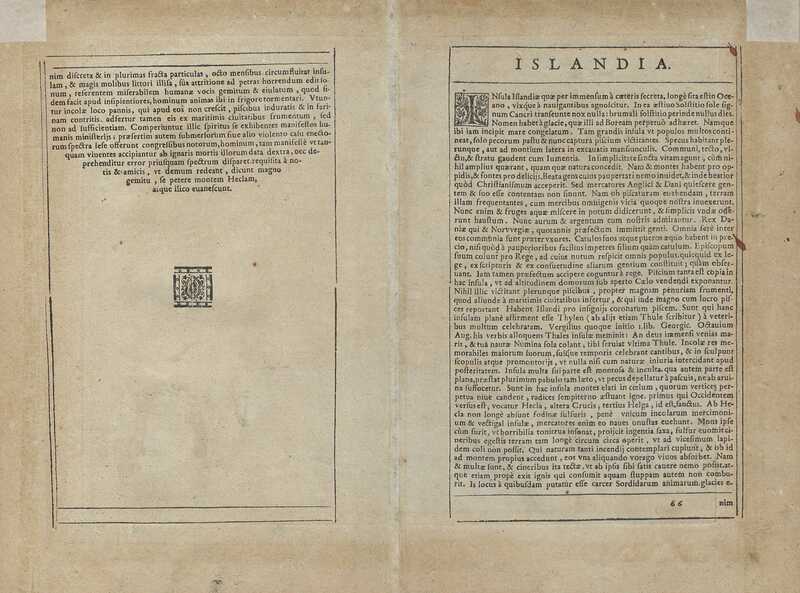 Matthias Quad was one of the first to adopt the new version of Iceland which Abraham Ortelius printed in 1590. 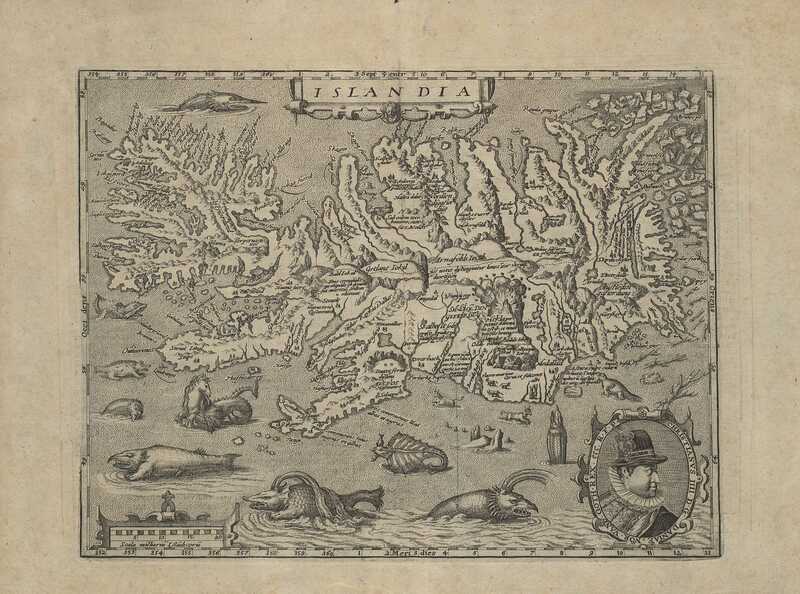 Quad was a efficient cartographer but not at the same time very proficient, in stead of the fine engravings done by Ortelius we have wood-carvings. 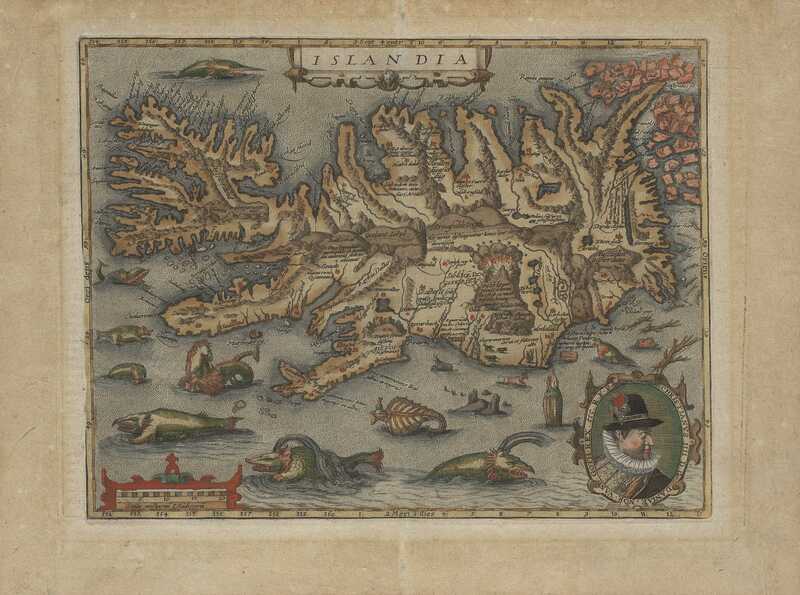 When we look at the map we see that it is a copy, reduced in size, of Ortelius' map. 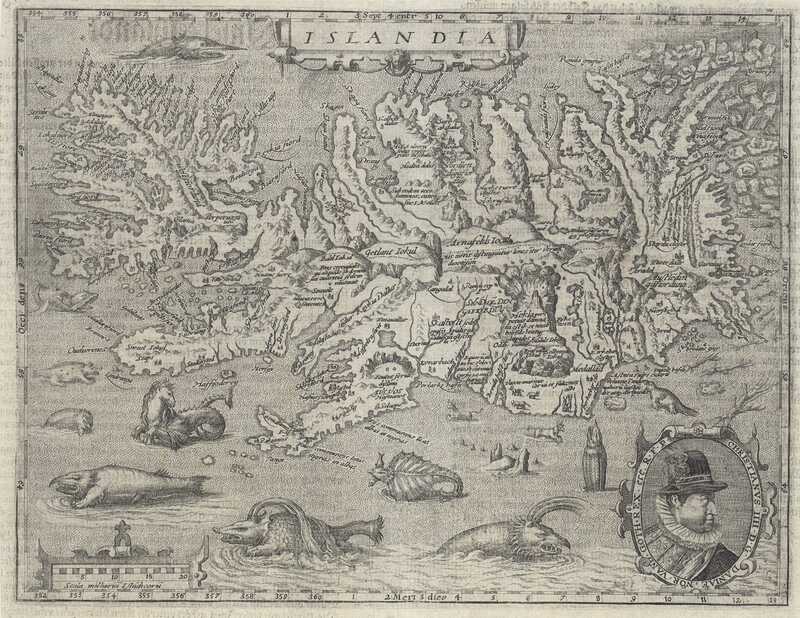 Place-names are fewer and one of the monsters is gone. 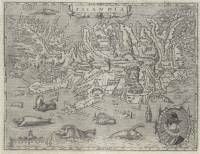 In the bottom right hand corner there is a picture of Christian IV who was king of Denmark at that time.